Built by a now retired builder as his last project sixteen years ago, this is a spacious and impeccable four bedroom, three bathroom family home. 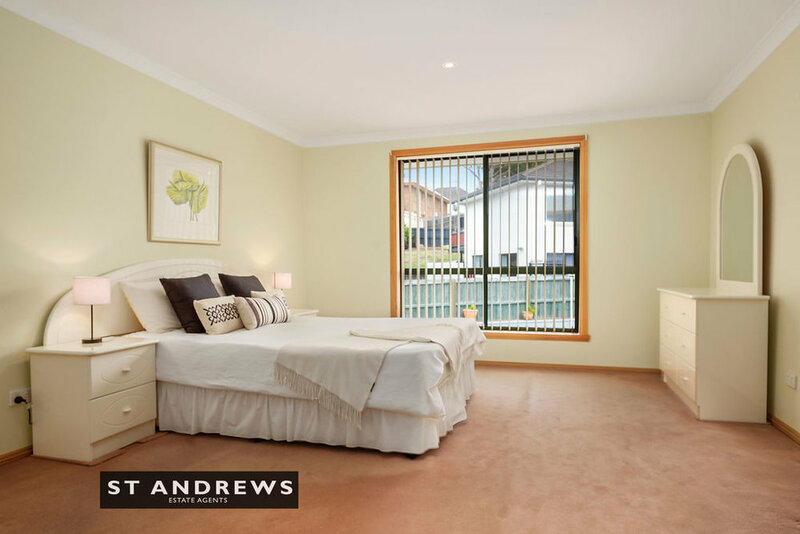 At lower ground level, the home offers an oversize fully lined double garage with internal access and near new auto-door, tiled entry foyer, spacious family room, a double bedroom with built ins, tiled bathroom, laundry and store room/cellar. On the upper level, there are three further bedrooms, all with built-in robes, including master-bedroom with ensuite, powder room, a large lounge room with access to tiled deck offering expansive vistas, and an interconnected kitchen-dining room fitted with an immaculate Tasmanian oak and granite kitchen incorporating Bosch appliances. Outside the property offers a productive garden with raised beds and healthy fruit trees, a large parking apron and turning area, whilst at lower ground level of the home are two separate lockable store-rooms. 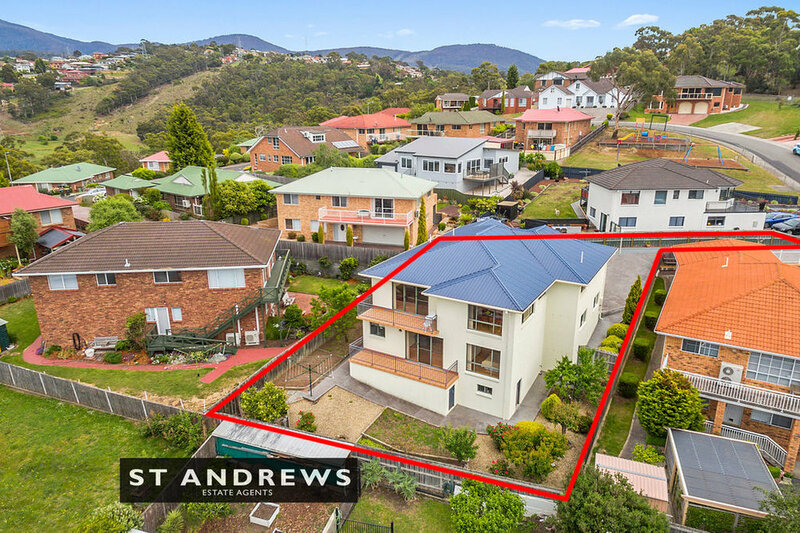 Surrounded by quality family homes in a quiet and secluded pocket, this location offers great convenience, moments away from vibrant Moonah shopping strip, major supermarkets and department stores, sporting facilities and both primary and secondary schools. For those desiring a superbly built low maintenance family home bathed in natural sunlight, enjoying elevated views and in a private and secluded setting, this is a property difficult to surpass.